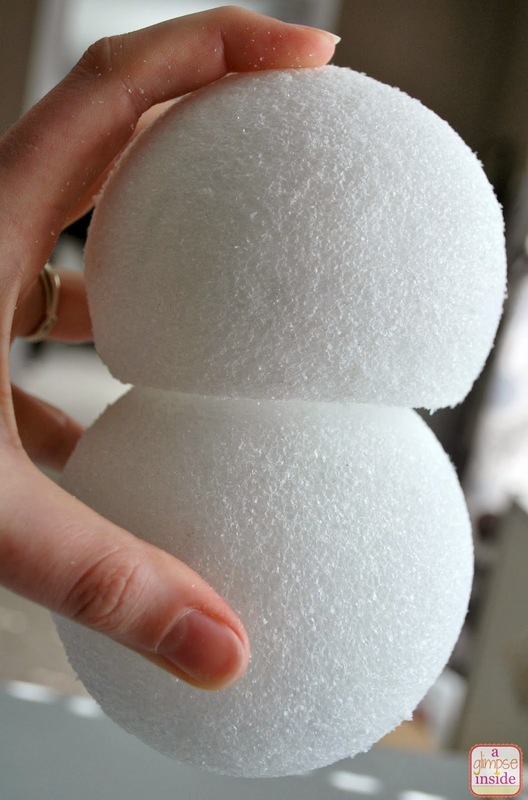 Begin by cutting the bottom off of one of the balls. 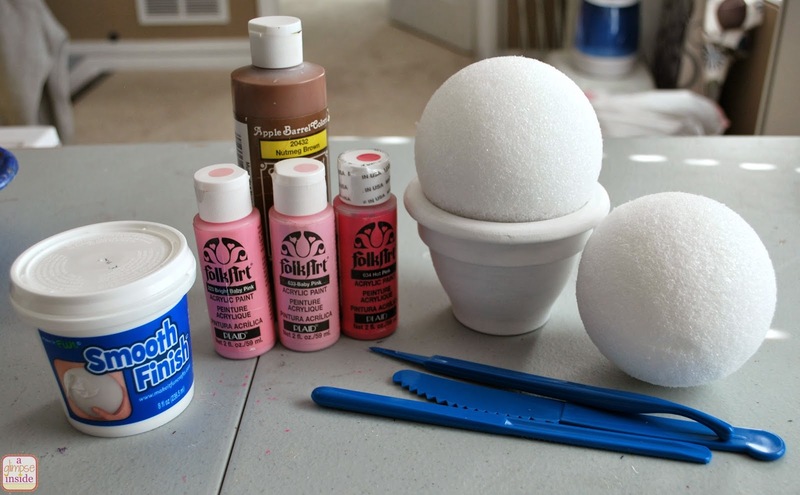 If you have the Styrofoam tools kit, there is a knife just for this purpose but you can also use an exacto knife. I just cut it straight across so it sat flat. 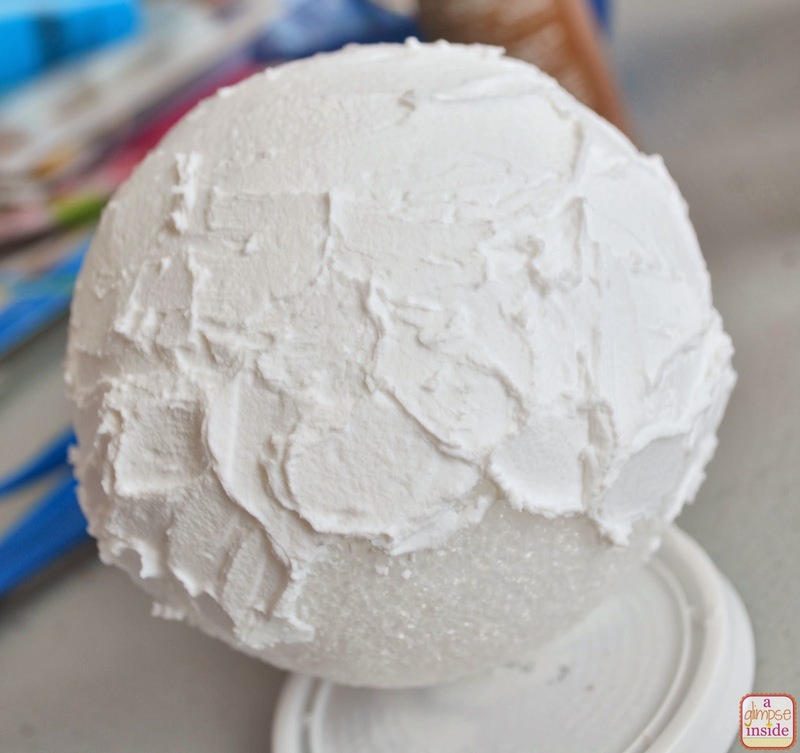 I then slightly hollowed out the inside of the bottom of the ball so it would fit nicely on top of the other ball. I used the other two styrofoam tools for this job but you can again just use your exacto knife. I dry fit the balls together until I liked how the top ball sat on the bottom making any adjustments needed. 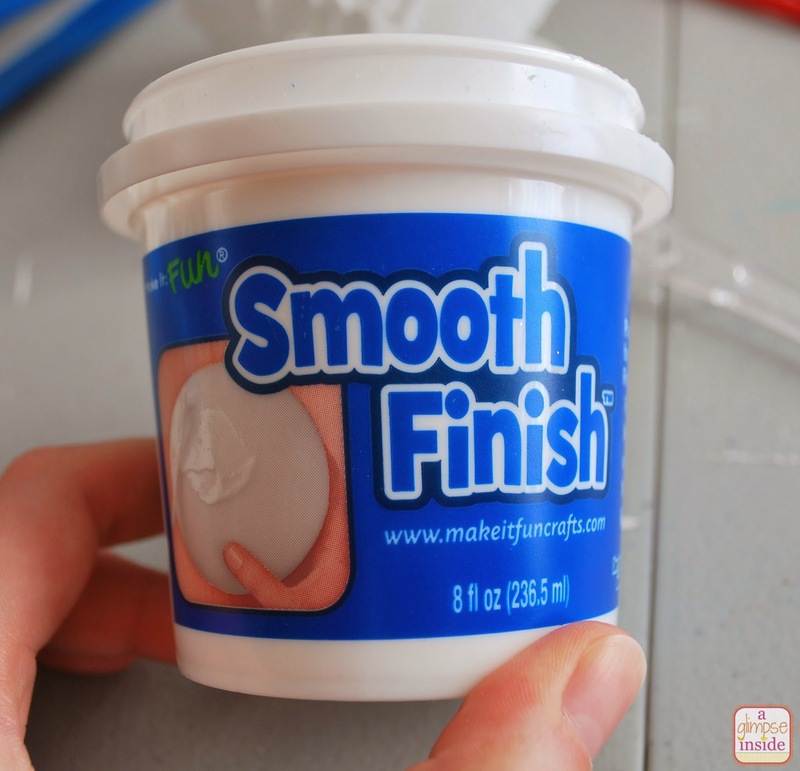 Time to pull out the Smooth Finish. 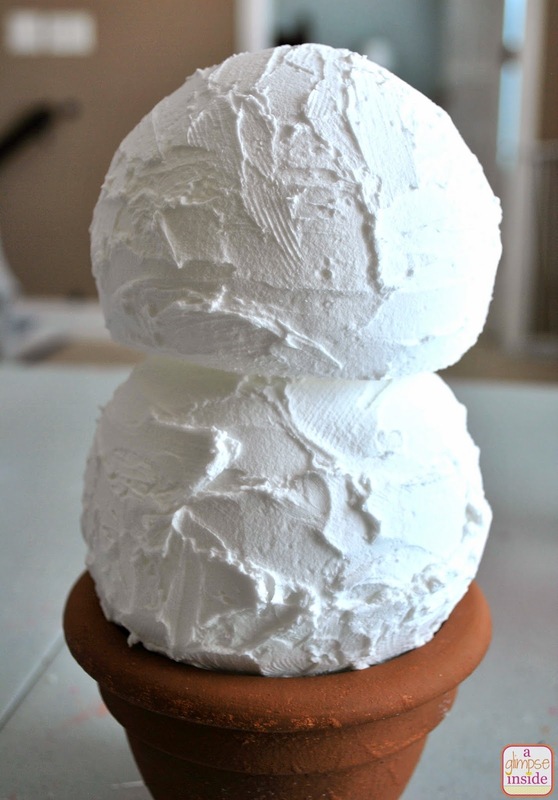 This is pretty much just like wall spackle that you use on styrofoam to make it smooth or in our case, add some texture. 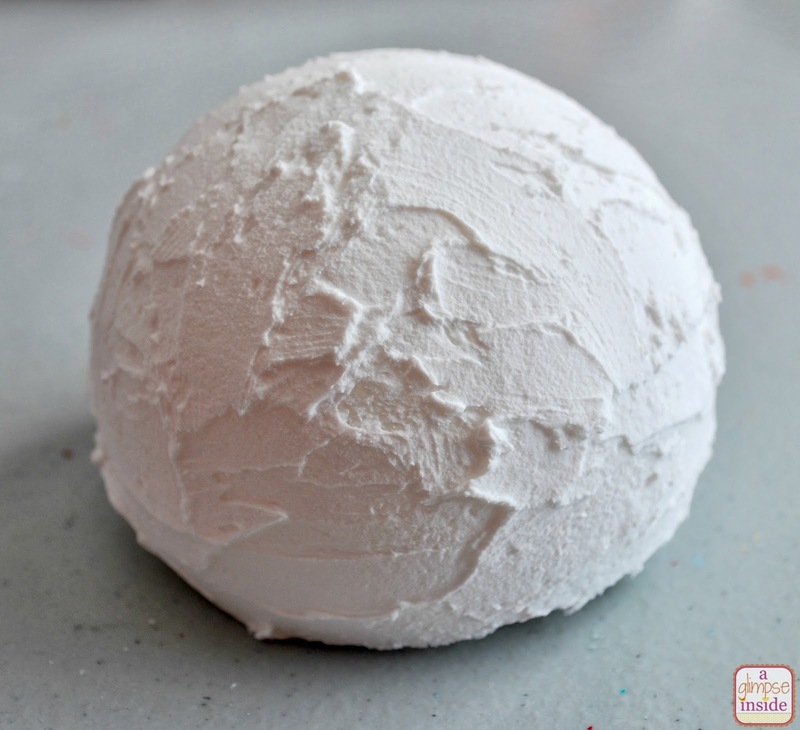 I used a plastic knife that I had to spread the Smooth Finish on the ball. I didn't bother making it smooth because I wanted it to look like an ice cream scoop. No need to cover the entire ball, the bottom will be hiden inside the pot. 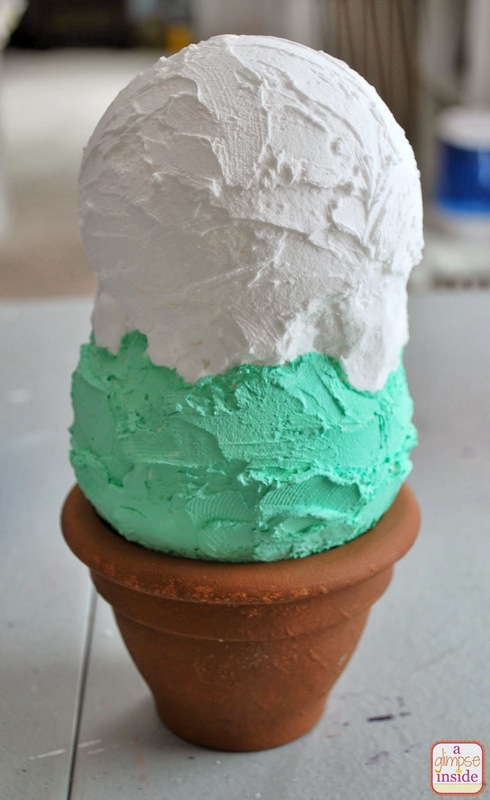 I also added a little more toward the bottom of the ball where it would sit on the pot to make it look like the ice cream was pushed into the cone. I then covered the second ball and set both of them aside to dry. 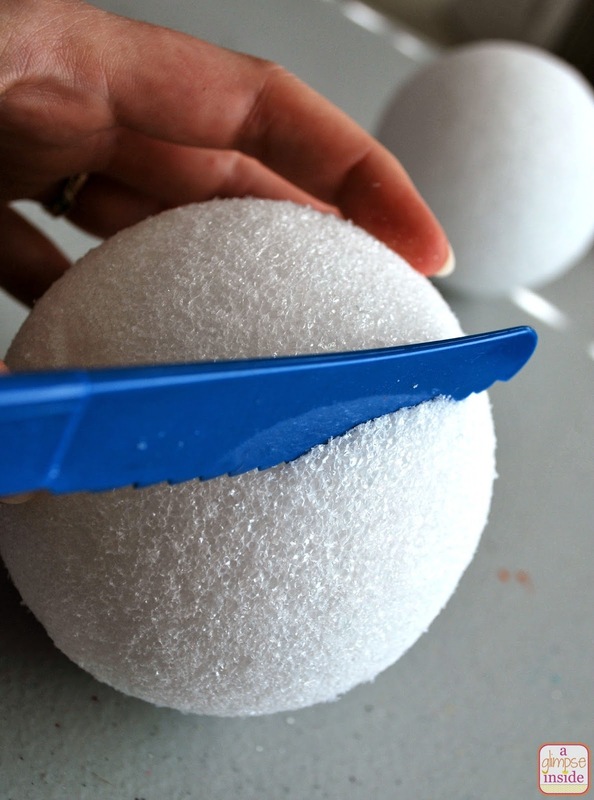 Depending on how thick you put the Smooth Finish on the ball, will depend on how quickly it will dry. I let mine dry overnight to make sure it was completely dry. 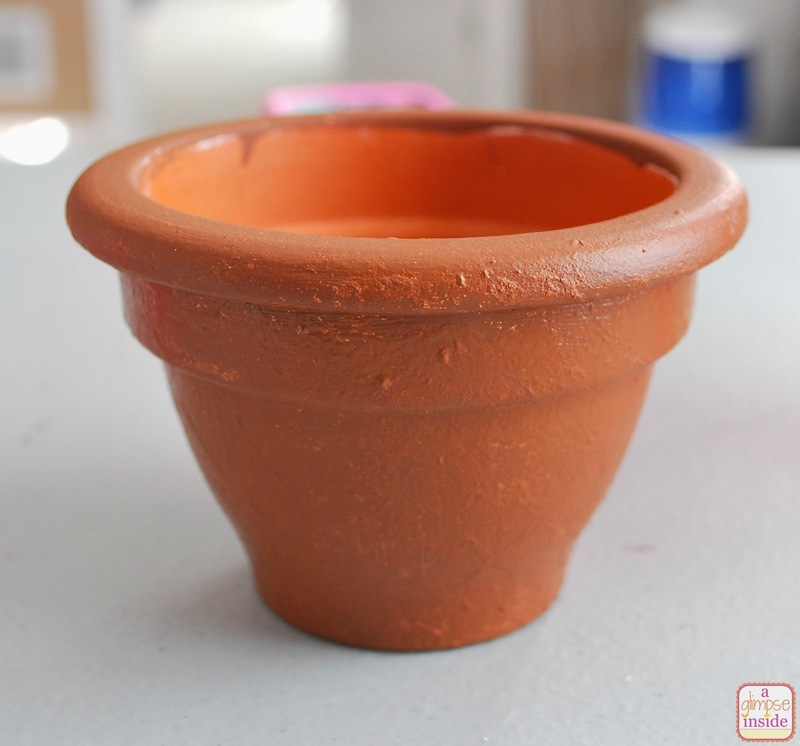 While the Smooth Finish was drying, I painted my pot brown. 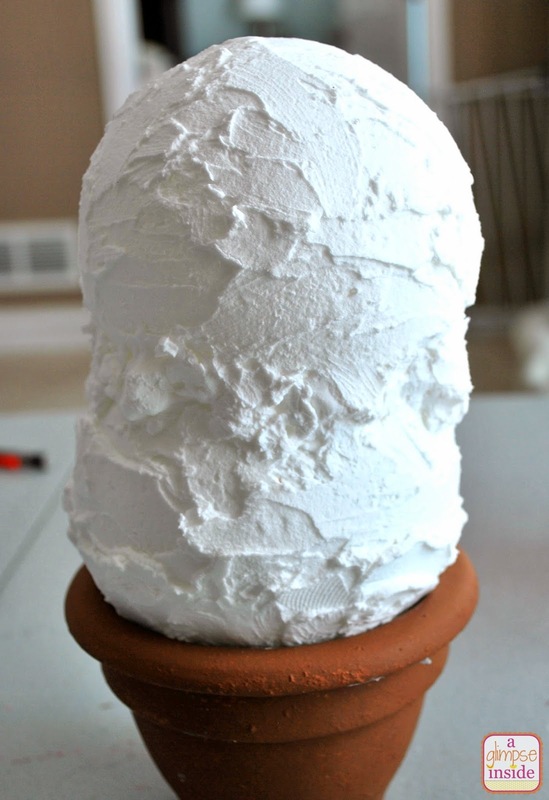 I pounced the paint on it to add a slight texture like a cone. 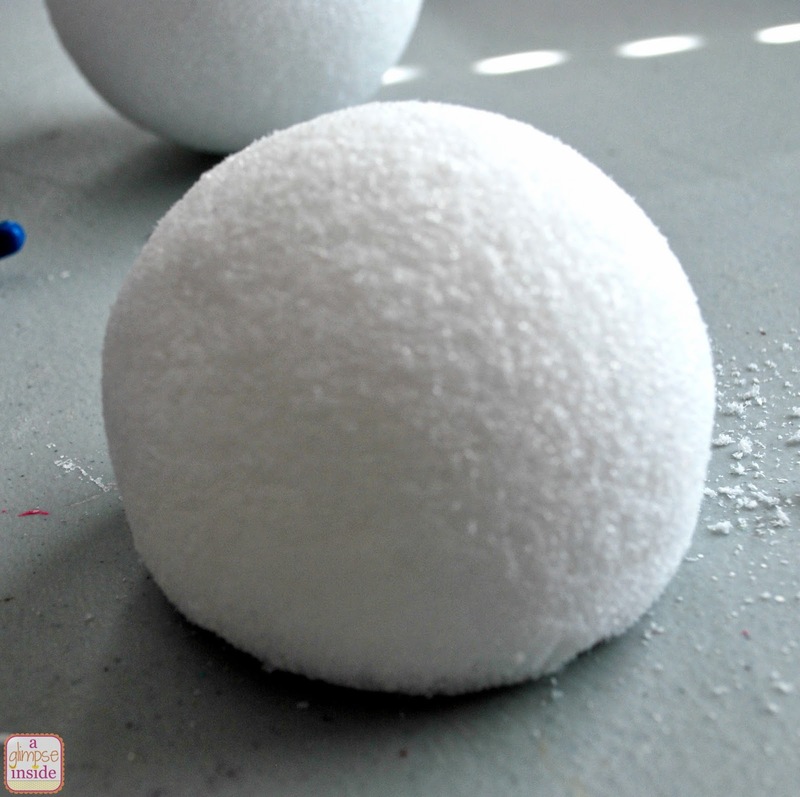 Once the balls were dry, I glued the top ball onto the bottom ball. I then took the Smooth Finish and filled in the gap between the balls. 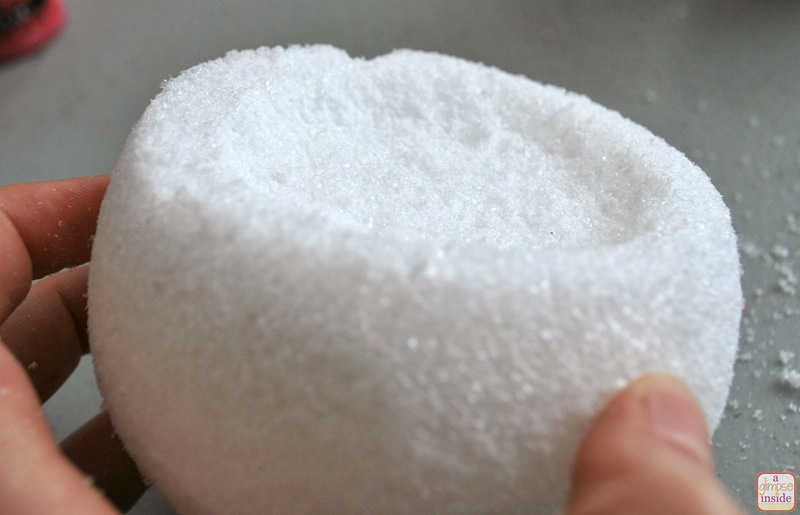 Again, making it larger in some areas to make it look like a scoop of ice cream pushed onto the top of another scoop. Once the finish was dry, I painted the bottom ball a mint green. 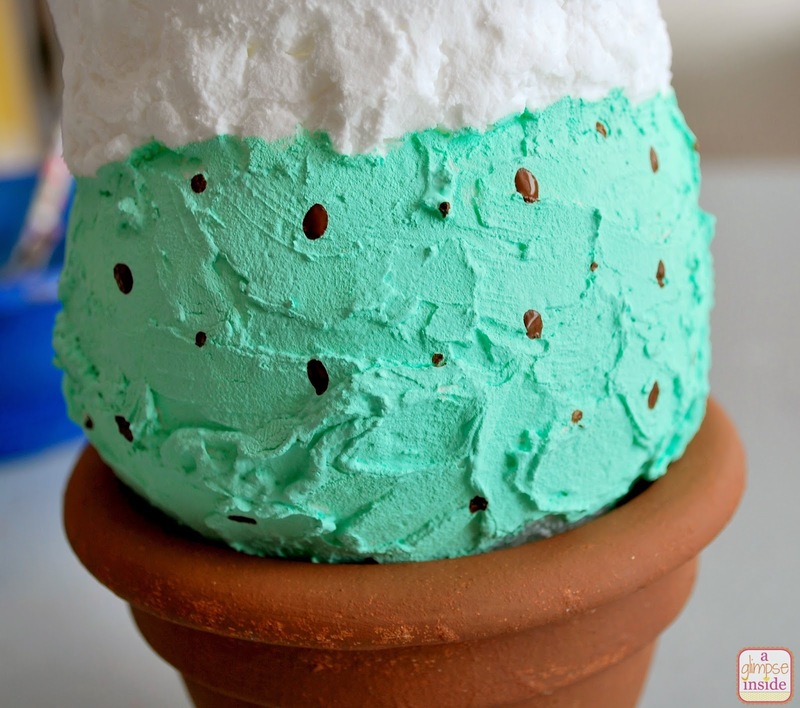 I then added some brown dots to make it look like chocolate chips for Mint Chocolate Chip ice cream. 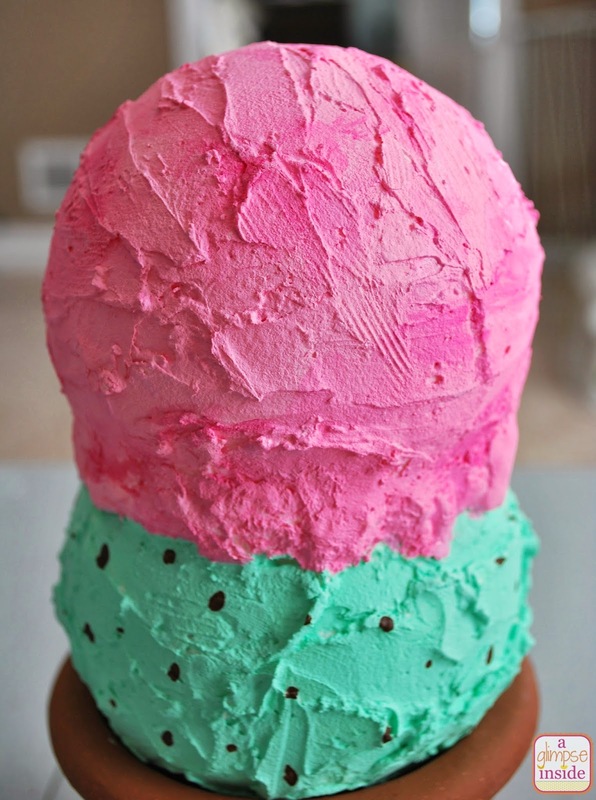 I then used a few different shades of pink and mixed them to make the top scoop look like Strawberry ice cream. I pulled out some beads I had and found some of the long ones and glued them on top to make it look like sprinkles. 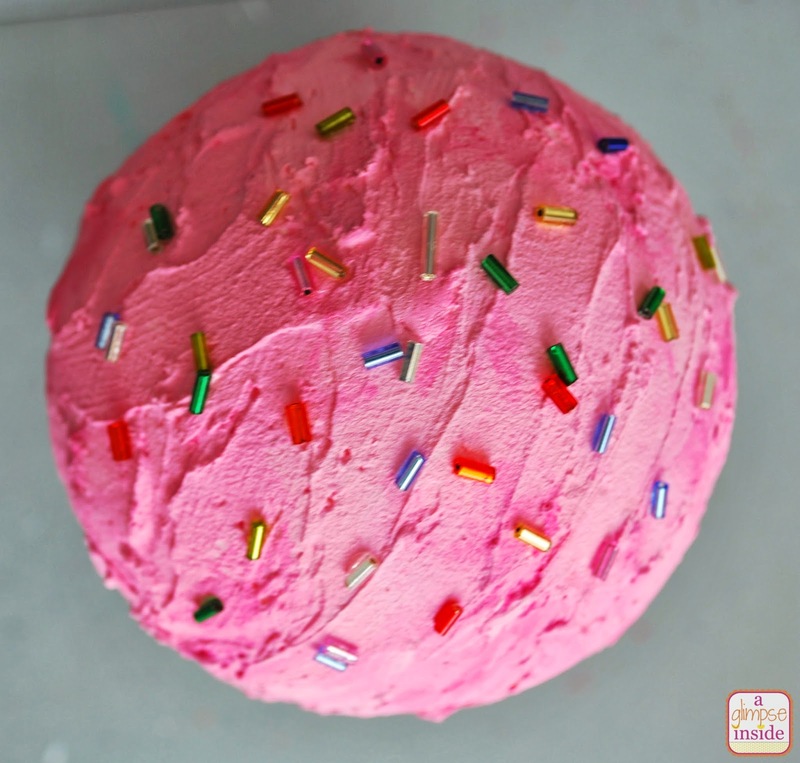 Once the sprinkles are dry, the ice cream is done! You could always add a cherry if you like or any other topping you would like. 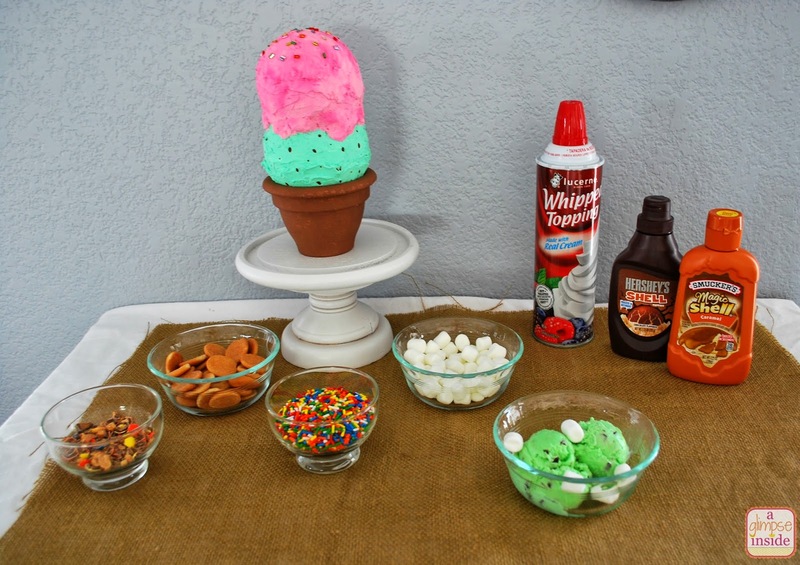 Granted I only made one for this shot, but I think it would be super cute to have a grouping of cones together as decor. You can do one scoop cones, three scoop, whatever!! 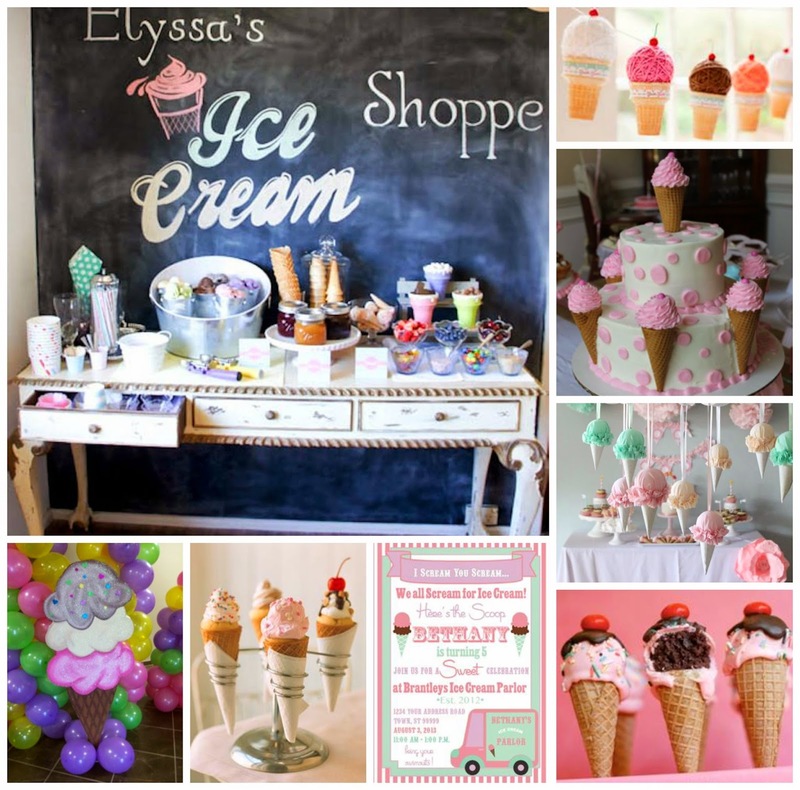 Here are a few ideas that I thought would be super cute for an ice cream party. 5.) 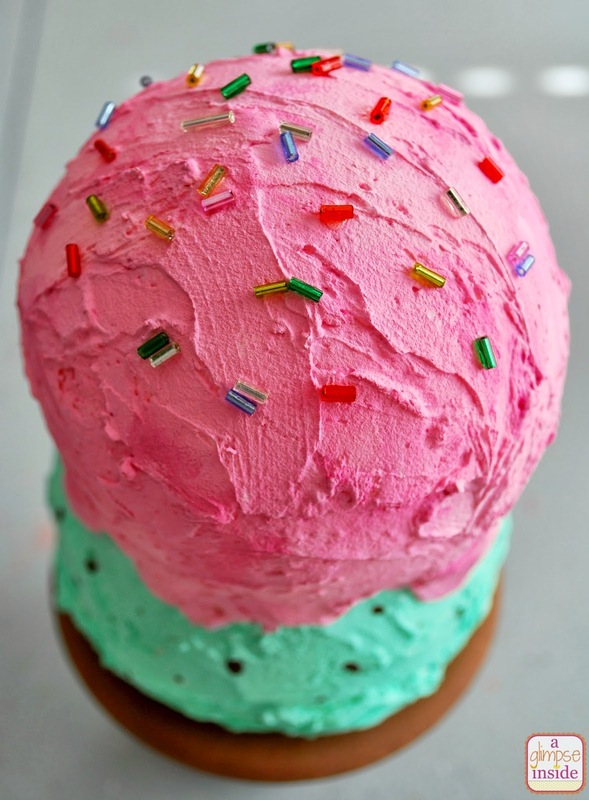 Ice Cream Cone Cake Balls... I found this on Pinterest but the link to this seems to be broken. 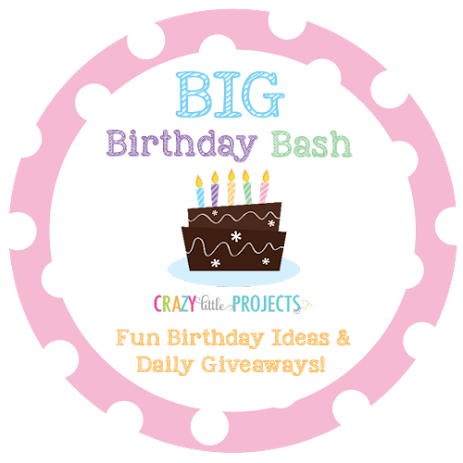 Be sure to stop by Amber's blog, Crazy Little Projects, to enter her daily giveaways and to see fabulous party ideas from other bloggers. Allison - that is absolutely adorable!!!!!! I think Miss P will love it! This is so cute Allison! I have some of that smooth finish from SNAP last year and still haven't used it. 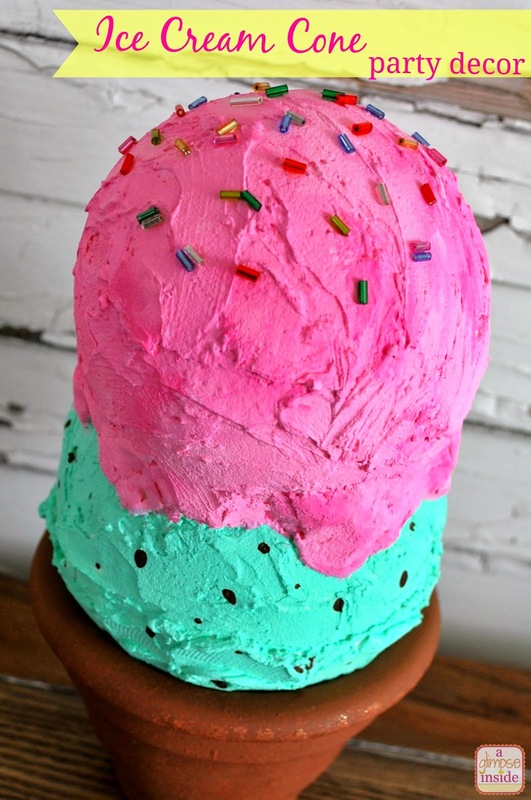 I'll have to give this a go for an ice cream party in the summer!